In this era of technology, your kids have access to multiple internet-connected devices, like smartphones and PCs. This opens new threats for parents to deal with. You need to ensure your children are not accessing any inappropriate content or talking to a stranger. With the increase in online threats, new ways for protection have also sprung out. If you are concerned about your child’s safety over the internet and while using digital devices, then you should use a parental control software. Parental control software are efficient tools to help you track or monitor your children’s digital activities – whether online or offline. Get a good parental control software tool and it will let you control what type of content your kids are allowed to see/use and what should be blocked, including games, apps, and websites. You can also disable access to programs for a particular time, perfect to ensure kids focus on other activities as well. Furthermore, these parental control software let you monitor your kids’ activities on smartphone or PC also. So you will be sure your kids are out of the harm. In this article, we will list down top 5 best parental control software to help you keep a tab on your children. Warning: Some of these apps are capable of monitoring activities of anyone on a PC or smartphone. It is illegal to monitor activities of children above the legal age (18 in most cases), and you can’t monitor anyone else’s activity without proper consent. You will be solely responsible for any legal actions against you. Spyrix is a feature rich monitoring system that offers custom solutions for every need. Although it has a bit suspicious name and features, yet when put in right use it is a fantastic tool to be used as an efficient parental control software. It offers basic monitoring and key logging features for free that are good enough for most people. However, you can opt for the paid version to get the best control features. 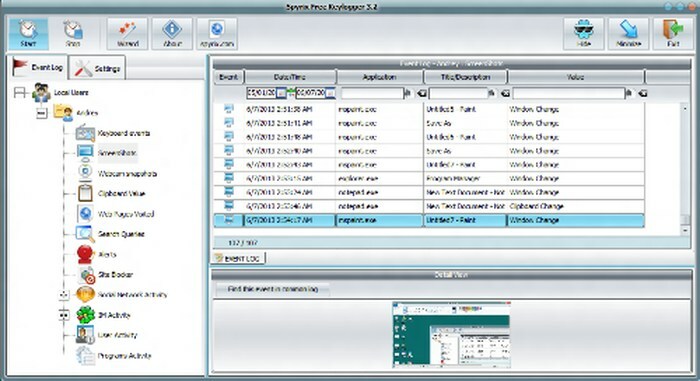 In the free version of Spyrix, you will get remote monitoring, apps and weblog, key logging, periodic screenshots of the screen, online activity monitoring, removable device control, printer control and a few other handy options. All this is more than enough for daily monitoring. However, if you want more, you can get the paid version that will offer all the free features plus some additional features. Paid features include cloud storage log, invisible working, social media activity log, web camera shots, access to the microphone (record surroundings) and website blocking features. As a parent, free features should be enough, but if you want complete control over your child’s social networks and want to block websites, then upgrade to paid version. If Spyrix seems a bit too much, then you might just need a tool to ensure your kids stay away from inappropriate websites while browsing the internet. 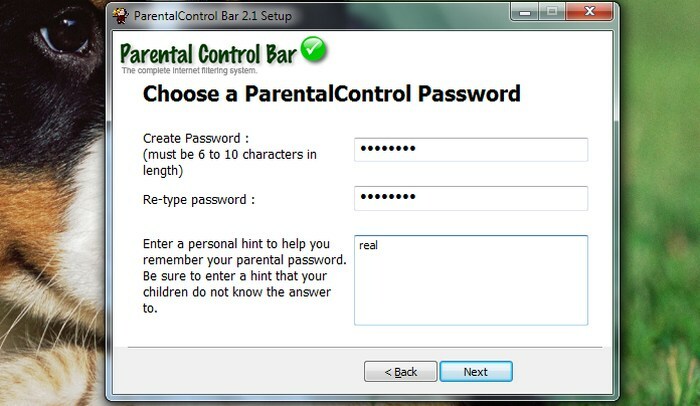 ParentalControl Bar is a web filter software that will block adult sites and will let you block websites using URL and keywords. The parental control software is completely free to download and has a very intuitive interface that makes it one of the best free parental control software. It works in two modes, Child-Mode and Parent-Mode. This makes it easier to use the software if the PC is shared by both the parents and children. You can quickly activate Child-Mode when your kids are going to use the PC to block content and then switch back to Parent-Mode that has no restrictions when needed. Password protects the modes and the parents are free to edit the Child-Mode while in Parent-Mode. The free parental control software has its list of adult sites that it will block automatically. However, if it doesn’t block any website you want to block, just add its URL to the blacklist. 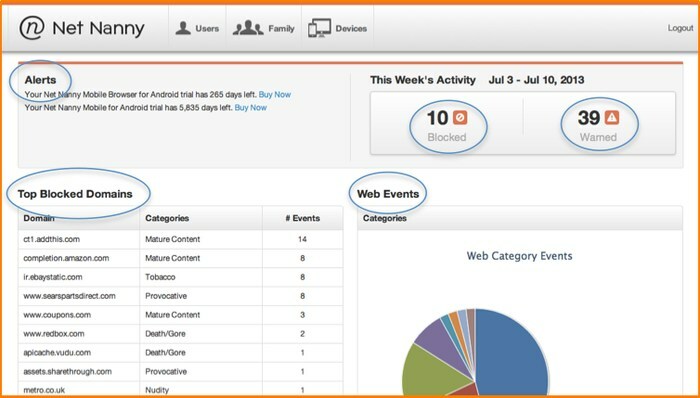 Although, don’t depend on auto-block too much as the software could leave some sites unblocked. Net Nanny is considered as the best parental control software that offers reliability and robust features. It is a paid tool costing $39.99 per PC and $12.99 on an Android device, but the price tag is worth it. It has a fantastic internet filtering system where you can block 18 types of content that may not be suitable for your child. This makes it very customizable as the parents can allow/restrict content as they want. It also has a time management system that you can use to limit access to the device at specific periods of the day, like lunch/dinner time, etc. Furthermore, its social media monitoring features are quite robust and you will have full control over their chat, photos, videos and privacy options. The parental control software also notifies you if there is any threat against your child, like cyberbullying or inappropriate pictures, etc. It has built-in profiles to make it easier for the parent to pick the right one, and these profiles can be edited anytime as needed. Qustodio Parental Control is another popular parental control software similar to Net Nanny, but it has a free version and does a great job on multiple devices. It will block all types of adult sites in all browsing modes, and you can specify websites for blocking as well. 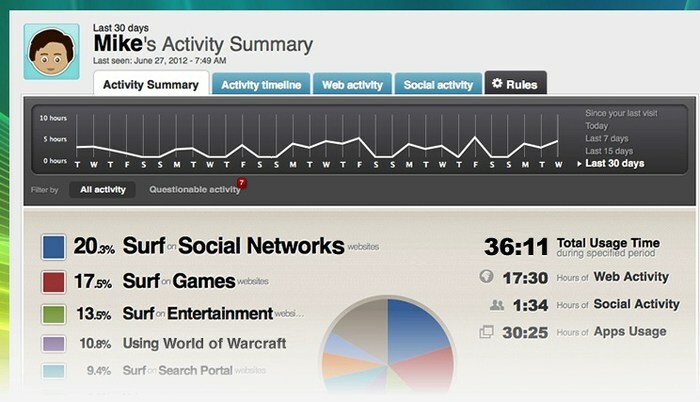 You can also control social media presences with custom notifications and total time spent on each network. It also has a time management system that will let you block games and apps for a particular time on both PC and smartphone. On smartphones, you can keep track of all the calls and text messages and also have the ability to block numbers you don’t want your kids to contact. Along with that, it also keeps a track of your child’s location and your child can press the panic button if they are in trouble. All the settings are synced over all of your kids’ devices, removing the hassle of reconfiguring. The free version only lets you use basic features on a single device, but a pro version ($44.95/year)can help you manage up to 5 users. KidLogger is a simple yet powerful parental control software that will let you monitor your child’s activity on both PC and smartphone. It has separate features for PC and smartphone devices, and everything is completely customizable. Its PC features include key logging, files and folders log, web monitoring, periodic screenshots, IM monitoring, time tracking, record surrounding voices, multi-account monitoring, custom notifications via email, removable devices control, and dedicated dashboard. The smartphone features of KidLogger parental control software include the complete log of calls and SMS, time spent on apps, key logging, location tracking, web history, IM tracking and the ability to see photos and video created with the phone camera. Its free version only offers device screenshots and essential activity. For online activity monitoring and notification features, you will have to go for pro version costing $29/year. Protection of your child is of utmost importance to you, and in this technology age, those as mentioned above paid as well as free parental control software will help you keep your kids safe. In most cases, a website blocking software like ParentalControl Bar is more than enough to ensure your kids stay safe while using digital devices. However, if you feel they are spending too much time on their digital device or their activity seem a bit suspicious, then go for a robust tool such as Net Nanny. Most of the above mentioned best parental control software tools have a free version as well, so do give it a try before going for the paid version. It will help you understand the software and see if it’s comfortable for you or not. If you happen to use any parental control software to monitor your child’s activity, do let us know in the comments section. Those are some excellent parental control software but, what I am looking for is a tool which can help me keep track of my child’s location. Can you name me one?? I would be grateful to you. Previous: TRP Guides: How to Send an Anonymous Email from Anonymous Email Account?